leelas hobbies: Fabulous Blog Ribbon award ! iam truly honoured PREETHI for choosing me for this award ..this is my 5th award..it really feels great to be a part of blogosphere..
My 6th award SUNSHINE BLOGGER AWARD recieved from Mrs.PUNITHA @ here ..awesome Blog with many different yummy recipies..you all have to prepare and taste her south indian food..yum yum..thank you so much Punitha for sharing this award with me..its really an encouragement in this blogosphere..
Again My 7th award SUNSHINE BLOGGER AWARD recieved from respected Mr.VAI.GOPALAKRISHNAN SIR @ Here who always spend his valuable time for visting all of us to actively encourage on this blogging platform..thank you so much Gopu sir for taking so much effort for all of us..you really really really deserve many more awards in future..thank you once again..
wish you all the best for the best blogging in future..
My 8th & 9th award LIEBESTER AWARD, i recieved from my 2 blogger friends dear PREETHI and BEENA STEPHY..
thank you so much to both of you for honouring me..i luv you people so much for giving me enough support,encouragement and valuable comments for each and every post in my blog..
its my request that you too can visit Preethi's blog for seeing many yummy innovative recipes..iam sure you also appreciate her..
Beena is very talented for doing her awesome embroidery in different ways..you should visit Beena's blog also..apart from that she is very interested in cooking also..i have collected her yummy recipes from her 2nd blog here..hope you will also go through her blog and enjoy well..
i would like to share this award with some of my blogmates..
all the best for future blogging to all of you dears..
Again iam honoured by respected Gopu Sir on 16/8/2012 ..ie,i recieved my 10th award FABULOUS BLOG RIBBON AWARD from VIA.GOPALAKRISHNAN..thank you sir for sharing the award with me..
Hi Leela,congrats and hugs on you winning this fabulous award.You deserve this. I am being humbled and happy to receive this recognition from you.Thank you so much Leela for remembering.In fact,this special thought from you is the real award dear. thank you sir for the wishes..so happy that you always encourage me for blogging..
its my pleasure Dhyuthi..you also deserve this..i love your blog so much..especially your good presentaion is tempting me to visit again..all the best in future..take care.. 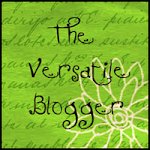 Please do vist my blog and I am waiting for your comments. Thanks Leela for visiting my blog.I dont know how to accept teh award,but any way thank you so much for considering my blog for that.I am so happy and you made my day..
Congrats on ur award, regarding ur q'n about cashew pakodas,you can dry roast ur nuts before adding to ur batter, i didnt do that. My pakodas turned out extremely crispy. My hearty congrats for you for all the five awards you got for your lovely blog!!!!!! You deserve all these awards dear. 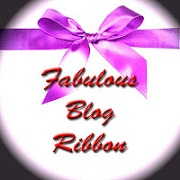 You are such a talented blogger and no wonder you are awarded!!!! Thanks a lot, Leela.It's indeed an honour! Today I have visited your posts with new model decorations. I am so happy. All the Best to win more & more awards like this. You have all very good talents and as well as very nice qualities also & you are deserved for all these awards. Thanks for passing me this award. I feel up today. The amigurumi patterns are lovely. keep it up. 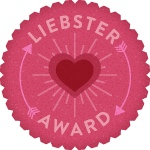 Today only I have watched this Revised post in which you have offered me an award called " LIEBSTER AWARD". I am really very lucky enough to get an award from the Holy hands of my LEELA. I am so Happy. As I already told you in my mail, I will be busy with my grand children Pavithra, Shiva & Anirudh from tomorrow 12th onwards for some 15 days. I shall try to contact you in the meantime, if possible. Otherwise, my acceptance of this 11th award from my LEELA will be displayed in my blog in this month end. Thanks a Lot LEELA. Have a Nice time. 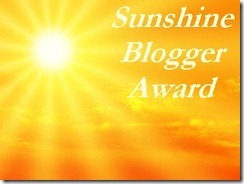 Thanks for accepting my "Sun Shine Blogger Award". My Heartiest Congratulations for all your awards. You have displayed them in a very beautiful manner. Let us meet/discuss in our mail during this month end. With Best Wishes ... Bye for now. Thanks a Lot LEELA for accepting this award for which you are very much deserved. I collected this precious award from you and passed it on also but do not know how to link back to you. I have written a post yesterday in the title ''2 more awards'' wherein I mentioned that this award was presented to me by you. I have also for the first time presented this award to 5 more talented bloggers. Congrats leela mam, And Thanks a lot for sharing award. Hi Leela,You must have missed my question for how to display the award in my blog.can you please tell me as to how to go about it?